One Minute. That's All It Takes to Find Out If You're Pregnant. 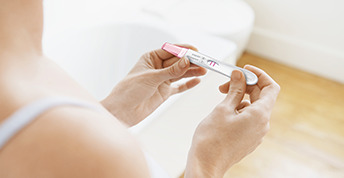 When you may be pregnant, you want to know as soon as possible. In this emotionally charged time, you can count on FIRST RESPONSE™ to give you results in just one minute. Relieve anxiety by knowing for sure, and knowing faster. Available at major drugstores, grocery stores and other retailers nationwide. 1 >99% accurate at detecting typical pregnancy hormone levels. Note that hormone levels vary. 2 FIRST RESPONSE™ detects the pregnancy hormone 6 days sooner than the day of your missed period (5 days before the day of expected period). 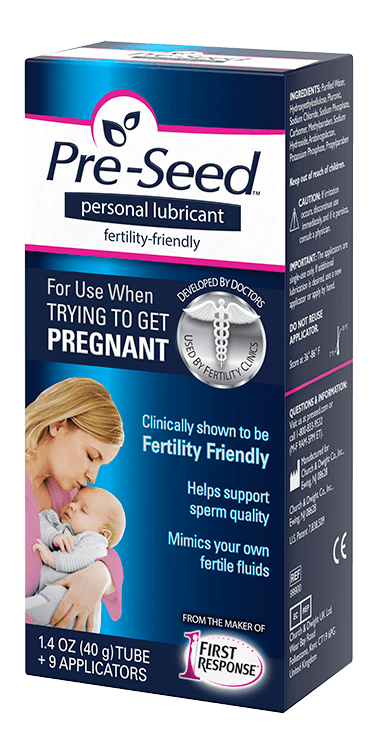 1>99% accurate at detecting typical, pregnancy hormone levels. Note that hormone levels vary. 3Minkin MJ. Embryonic development and pregnancy test sensitivity: the importance of earlier pregnancy detection. Women's Health (Lond Engl). 2009 Nov;5(6):659-67. 4A.P.L. is a trademark of Wyeth-Ayerst Laboratories Division of American Home Products Corp.
5Pregnyl is a registered trademark of Organon USA, Inc.
6Profasi, Pergonal and Serophene are trademarks of Ares Trading SA. 7Clomid is a trademark of Aventisub II, Inc.